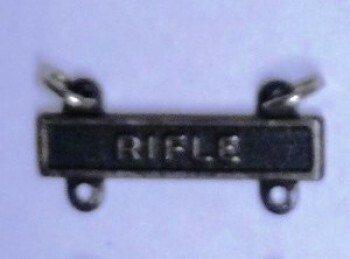 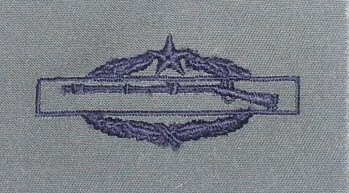 Rifle Qualification Bar for Marksman Badge. 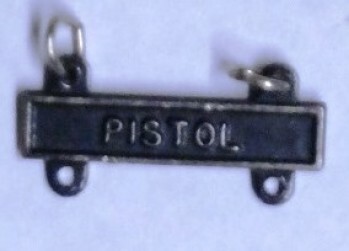 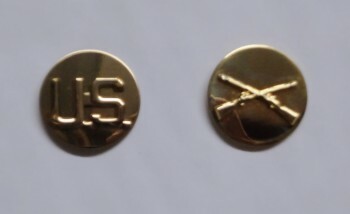 Pistol Qualification Bar for Marksman Badge. 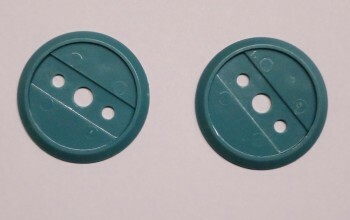 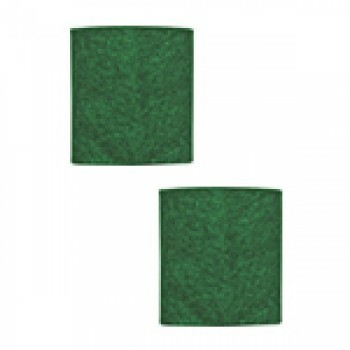 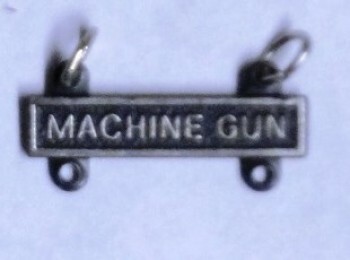 Machine Gun Qualification Bar for Marksman Badge. 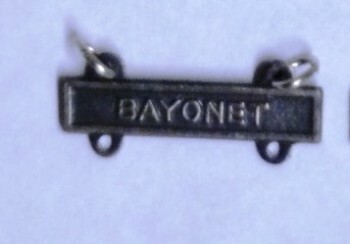 Bayonet Qualification Bar for Marksman Badge. 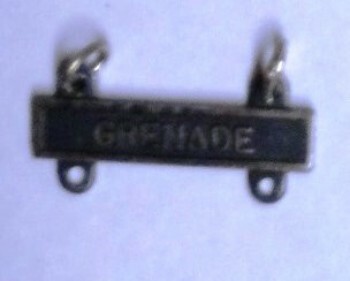 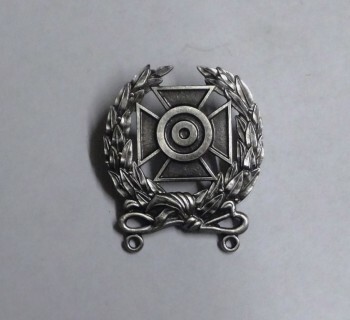 Grenade Qualification Bar for Marksman Badge.